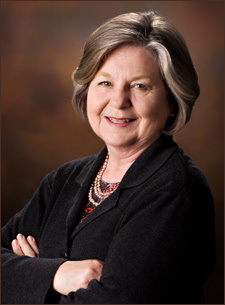 Laura Fayone Willes is an author, philanthropist, and namesake for the Laura F. Willes Center for Book of Mormon Studies at Brigham Young University. The Willes Center encourages and supports the pursuit of research on the Book of Mormon. She is a member of The Church of Jesus Christ of Latter-day Saints. Willes is a native of Salt Lake City. She earned a degree in American Studies from the University of Minnesota. She has published Minnesota Mormons: A History of the Minneapolis Minnesota Stake (1990), Community of Faith: History of the La Crescenta California Stake (2000), Christmas with the Prophets (2010), and Miracle in the Pacific (2012). She served a full-time mission with her husband, Mark H. Willes, when he presided over the Hawaii Honolulu Mission. She and her husband are the parents of five children and live in Utah. This page was last edited on 24 October 2014, at 20:19.